The ministry of Pastor Karen A. Dones is dedicated to proclaiming the Word of God to bring deliverance, encouragement & healing to the lives of individuals. Her message of truth challenges hearers to embrace the immeasurable greatness of God’s Power. Pastor Karen accepted Jesus Christ as her Lord and Savior at the age of thirteen and received her fundamental Christian training within Smith Temple Pure Holiness Church of God in Hiram, Georgia. She also served the Pure Holiness Church of God organization for several years in many facets of ministry. She answered the call of God to preach the Gospel at the age of 21 years old and subsequently enrolled into Jimmy Swaggart Bible College in Baton Rouge, LA. On October 18, 2003 in Graham, North Carolina, Evangelist Karen was elevated into the office of Pastor. Pastor Karen is known by her “keep it real” style while ministering in open-air crusades, revivals, prisons, and countless conferences. God has given her a spirit of wisdom & revelation that enables her to minister to diverse cultures, denominations and socioeconomic groups. Passionately seeking to reach lost souls, Pastor Karen founded Hearts for the Harvest Evangelistic Outreach. 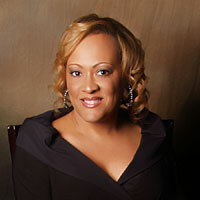 She later founded Karen Dones Ministries and Bent No More Network, Inc. mentoring and empowerment ministry for women. Karen Dones Ministries is committed to the following works, Feeding the Faithful Leadership Empowerment, “One Soul is Worth It” Evangelistic Workshop and Kingdom Prayer Gatherings.